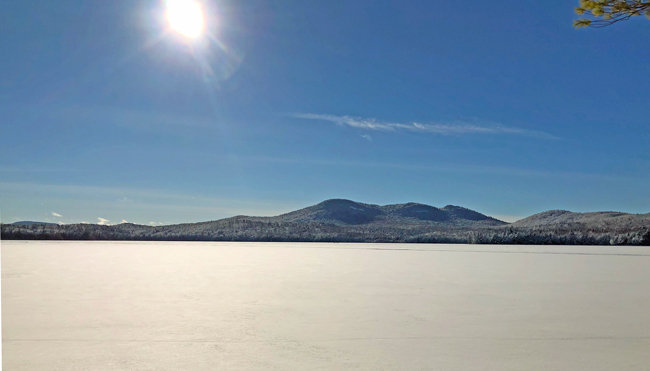 It’s St. Patricks Day Weekend in the Adirondacks of 2019. 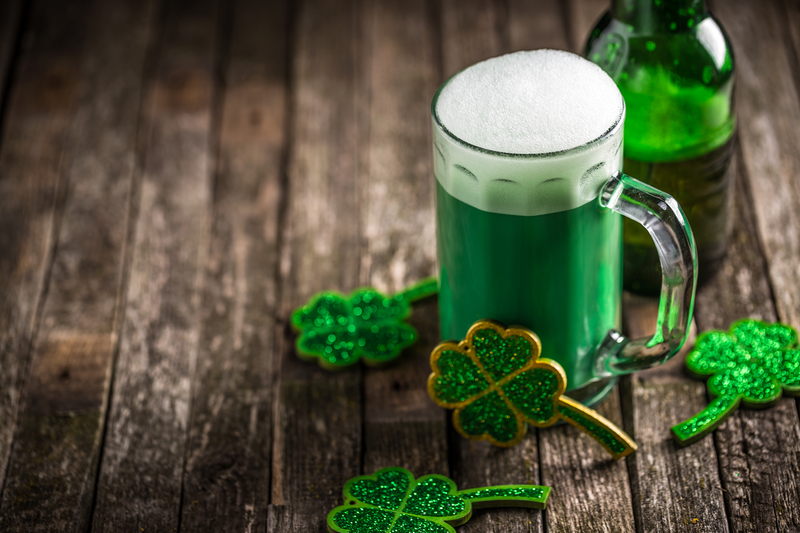 After a record setting year for snowfall and snowpack, come celebrate the last official “calendar” weekend of winter in Long Lake with green beer, green eggs, and Live Music! Plenty of activities line the calendar, but we’ve done the work to sum up what is going on in and around the area this weekend. 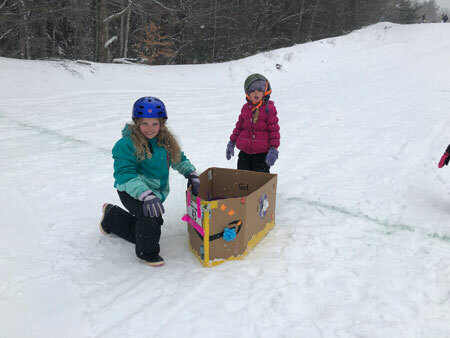 Fun for everyone from the avid snowmobilier, to the x-c skier, for first time snow-shoers and explorers and families and more! Really, we have plenty do do and save yourself the trouble of investigating and use our guide for the best ideas! 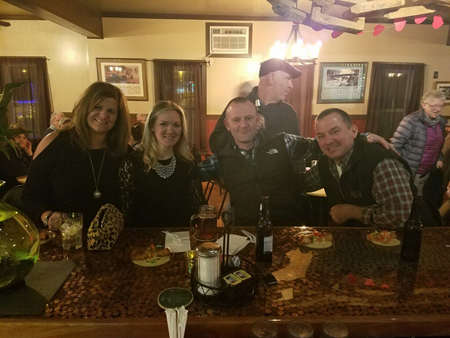 Kick off the weekend on Friday night at the Adirondack Hotel. There will be live music by rock n roll fiddle player Nelson Rock starting at 8pm and don’t be suprrised if he breaks out into a couple of Irish Jigs to get the dancing starting out on the right foot for the weekend. Also on Saturday you are welcome to check out The Raquette Lake Hotel & Tap Room. They always celebrate St. Patricks Day with the traditions of the Norris and Harrington families. Corned beef and cabbage will served around 5:00pm followed by a short “parade, “ if you can call it that.. and of course.. beer. Please note – regular dinner will not be served on Saturday at the Tap Room so you can save room for cabbage! On Sunday, March 17th at 7am come to the Adirondack Hotel for a special St. Patrick’s Day Breakfast special featuring Kegs & Eggs until 10am. Enjoy eggs, pancakes, bacon, sausage, toast. Enjoy a beer or a Bloody Mary with breakfast. 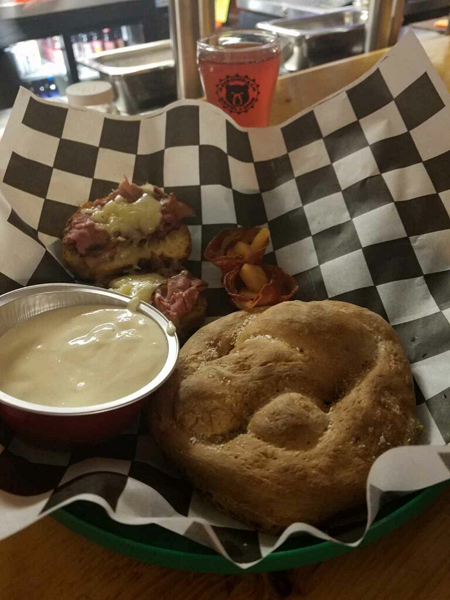 Other places to stop in and grab a bite locally for the weekend, don’t miss the Adirondack Growl and Grub with their yummy deli sandwiches, and salads paired with their wide selection of craft beer and cider. If it’s specialty pizza you have a hankering for, don’t miss out on Turner’s Pizza. Find both the Growl & Turner’s located behind Hoss’s Country Corner off of Newcomb Road and Main Street. The Long View Lodge will be open Friday at 3pm-9pm for dinner and lunch on Saturday at 11:00am. 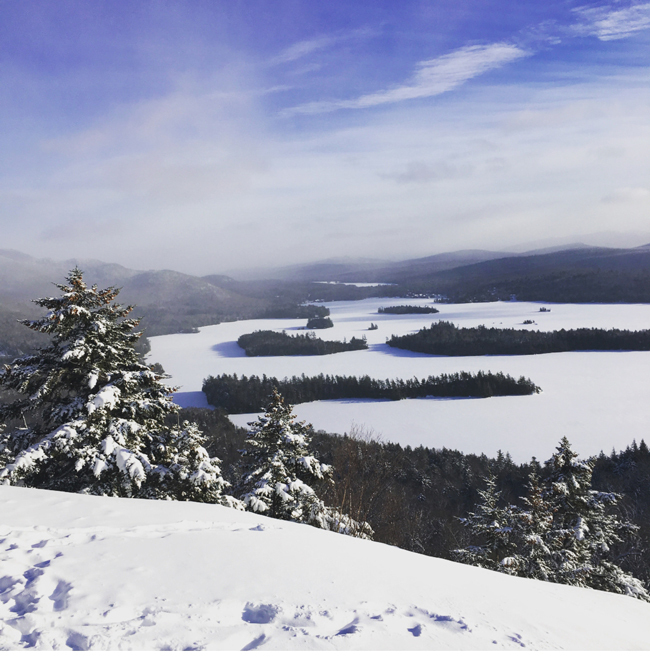 A ski or snowshoe trek during Camp Santanoni’s last Winter Weekend during 2019! On March 16-17, you’ll be able to go into the Gate Lodge and Main Lodge of the Camp, view displays about the Great Camp and take short interpretive tours with Adirondack Architectural Heritage volunteers. The 10-mile round trip on gently rolling terrain will take you past the Santanoni Farm and through the Forest Preserve on a wide, old road (no vehicle access). The Artist’s Studio, a stone building near the Main Lodge on the shores of Newcomb Lake, will be open as a warming hut from 10-3 each day. Enjoy free coffee, tea or hot chocolate by the woodstove (bring a cup if you can, but there will be plenty available!). Hosted by Adirondack Architectural Heritage (AARCH), NYS Department of Environmental Conservation and the Town of Newcomb. X-C ski rentals available at Hoss’s Country Corner in Long Lake NY. 518-624-2481. 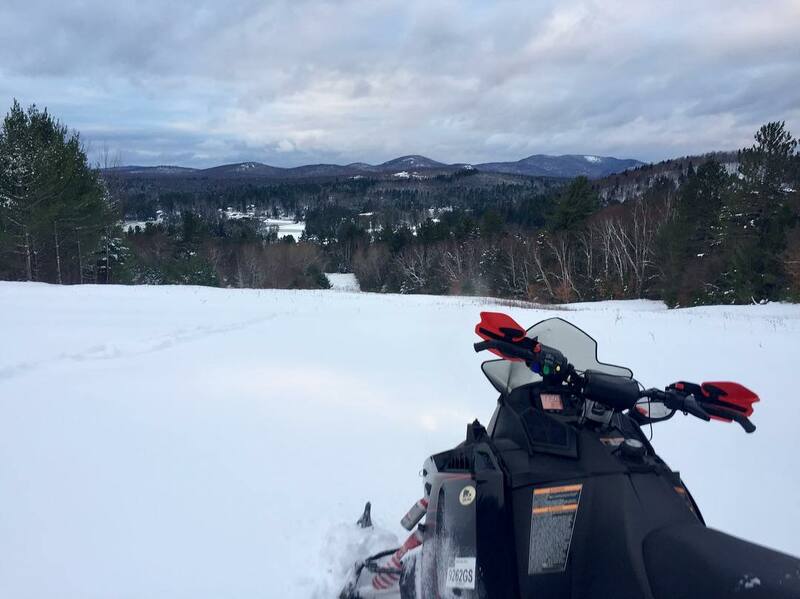 Spring snowmobile riding in the Adirondacks has arrived. Check out the latest SNOWMOBILE conditions daily at https://mylonglake.com/snowmobiling/ And if you need a part or a tow, don’t worry, we have Cody at Heckman’s Engines to help lend a hand in the event you are running into any mechanical trouble along the way. Call 518-637-4661. Grooming schedule – our groomers are out daily- overnight, including Friday and Saturday nights as long as conditions allow, but please check conditions. Spring conditions mean that the trail conditions change daily. When conditions work we regularly groomed trails including Tupper Trail C7B, Newcomb Trail C7B, Powerline S80, Lake Eaton S86, Sabattis Road Shelf C7B and the Train Tracks groomed by Beaver River Snowmobile Association. In Raquette Lake connect on the 7th Lake Mountain Trail, Dump Road, Browns Tract, Uncas and The Bug Lake Trail. Come on into town for gas at the Long View Lodge or Stewart’s Shops or in Raquette Lake at Raquette Lake Supply. Kids got Cabin Fever? 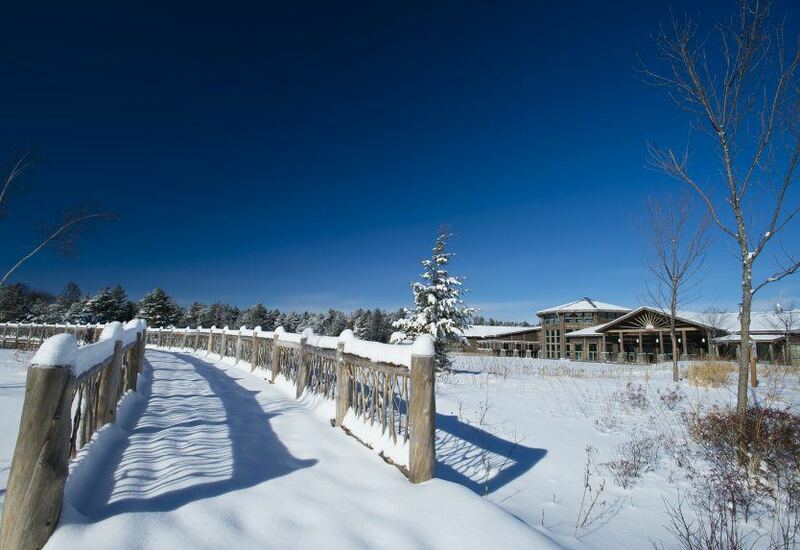 Check out the Family Friendly Weekend Activity at The Wild Center located a short-drive away in Tupper Lake, NY. Get your family out of the house for Family Weekends at The Wild Center. Every week will feature a different nature-themed watercolor painting project in Art Studio, our interactive space where you can discover the intersections of nature and art. Grab a pair of snowshoes and hit the trails to explore on your own or on a guided naturalist walk or simply relax inside with The Wild Center’s river otters, a featured film and a warm beverage while you explore The Wild Center’s exhibits and see an Adirondack animal up close. 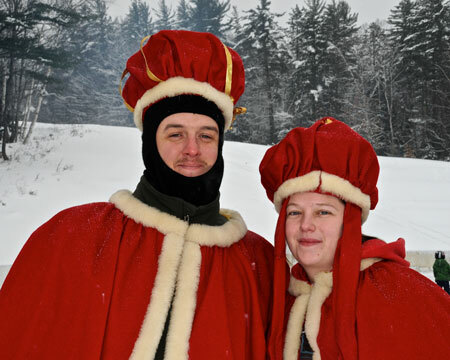 Family Weekends are free for members or with paid admission which includes free use of snowshoes. Stay local and check out The Geiger Arena and Mt. 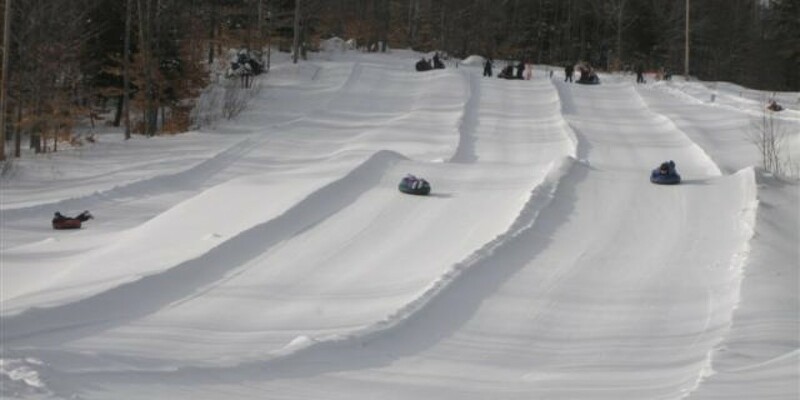 Sabattis in Long Lake for free downhill sledding and free ice skating. Plenty of activities including games and so much more. 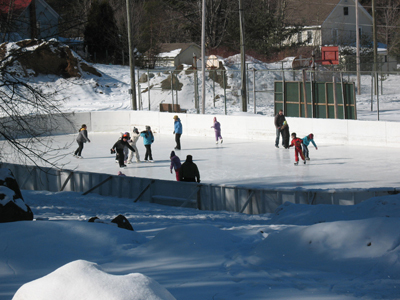 Sam will have the rink open at 1pm on both Saturday and Sunday this weekend! Call 518-624-3031 for ice conditions and info! 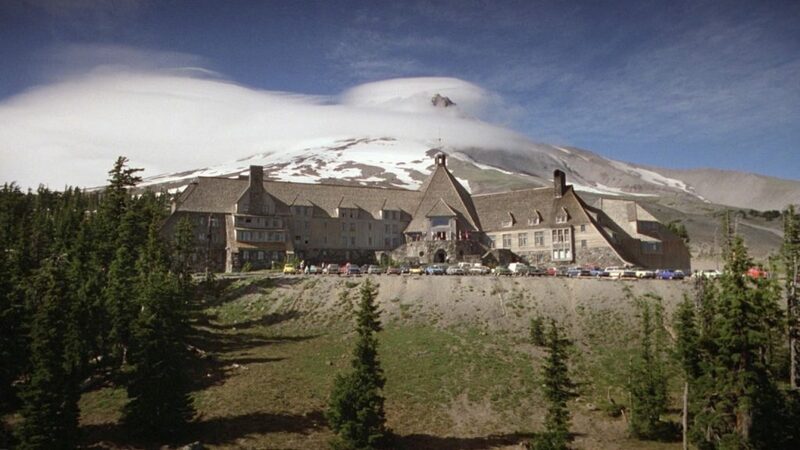 Need lodging? Plenty of comfortable rooms available at the Adirondack Hotel 518-624-4700 or Long View Lodge 518-624-2862 or click on our Winter Lodging Rentals for more info. 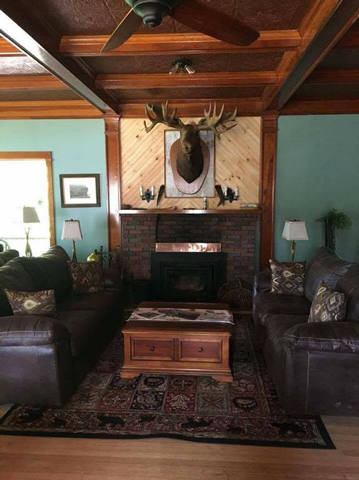 Check out the Raquette Lake Hotel & Tap Room for lodging in Raquette Lake. Call 315-354-4581 for reservations. Here’s your Fun Check List- Make a Game of it and share your photos with us on social media! Visit Death Brook Falls in Raquette Lake. Be careful when parking! It’s tight off route 28. Use the wooden tobaggan at Mt. 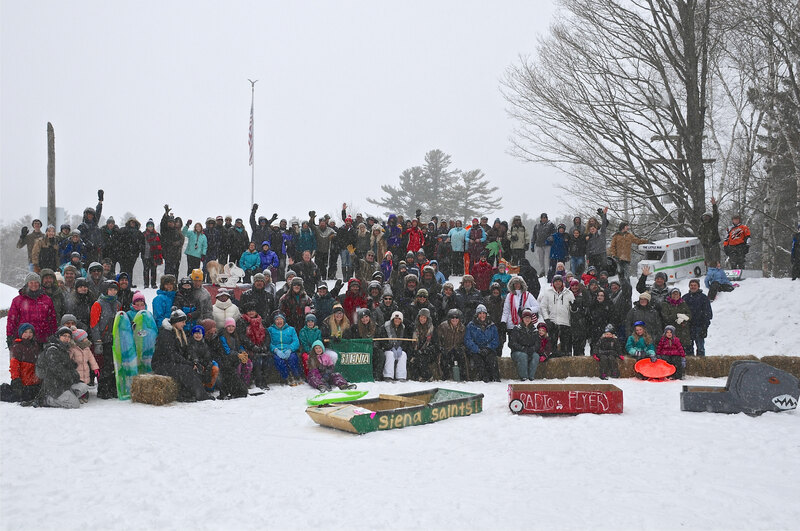 Sabattis **fun fact – the sledding hill and Geiger Arena are located at Mt. Sabattis at 6 Pavilion Way. Take a snowmobile to the Top of Mt. Sabattis to capture this view. Located off of S80. Not sure where to go, ask Sam at the Geiger Arena. Free ice skates and sleds available at the Geiger Arena. Open all weekend! Record setting snowfall in 2019 should hold up in the woods to make for some great spring conditions in the woods. 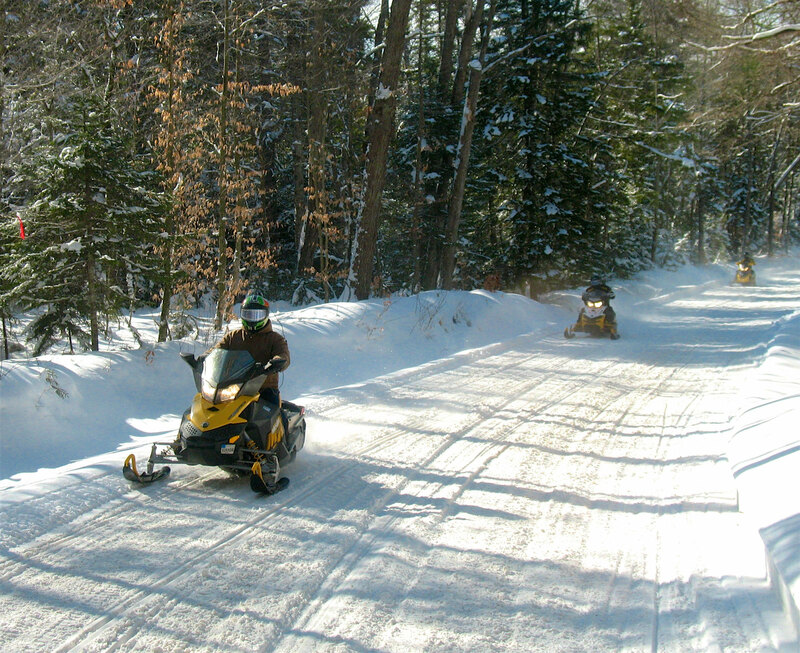 Check out our snowmobile trail conditions for updated info. The Wild Center is a short twenty minute drive from Long Lake. Open on weekends. Check it out in the “off-season” Activities for kids and a wonderful destination for all. 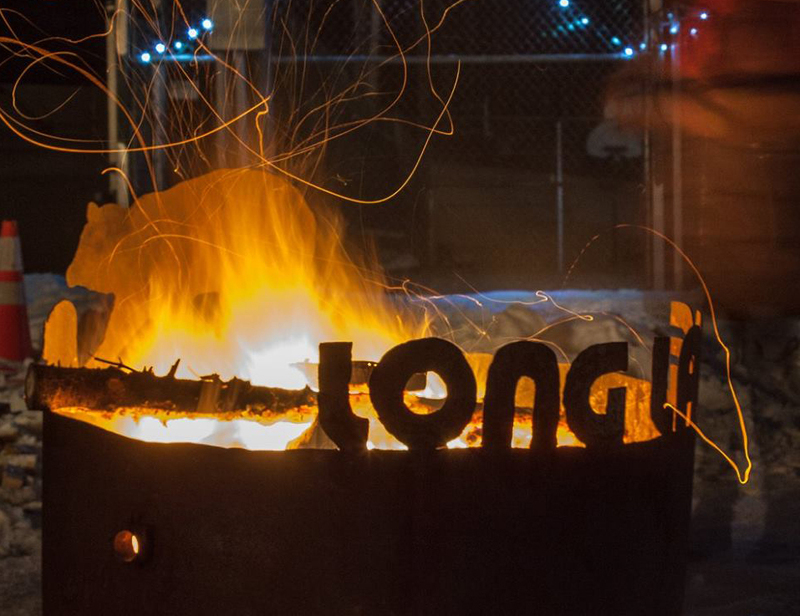 If you are interested in taking the plunge into winter hiking, or want to share your passion for winter recreation with your kids or friends who are just beginning, Long Lake is the perfect hub. With a variety of trails and mountains within a 20 minute drive, from toddler up to grandparents, and novice to expert, there is something for everyone and all experience levels. 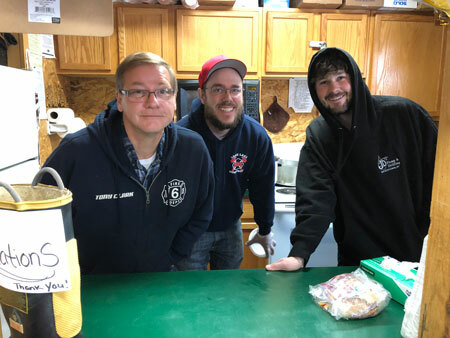 Long Lake also offers multiple year-round lodging and dining options, stores to stock up on hats, gloves, and gear, or last minute things you may have forgotten. These trails are listed from easier to harder, although all of them shouldn’t be a problem for the average person to complete. 2.2 mile round trip from parking lot, located off Tarbell Hill Rd. This is a great hike for the novice snowshoer looking to get some experience winter hiking. The trail is an easy 1.1 mile rolling trail to Catlin Bay on Long Lake, with some outstanding views of the lake, along with plenty of spots for a picnic, including some DEC maintained camp sites and a lean-to. The trail follows the Northville-Lake Placid trail both out and back, and should be fairly well traveled, and is well marked. On a scale of 1-5 (1 being easiest) this hike should be about a 1 or 2. The Newcomb VIC is another excellent area for people just getting into the winter hiking and snowshoe world, especially those looking for an educational aspect to their adventure. The VIC has a number of well-maintained, flat to moderately inclined, trails running all over their campus, with signs at various points detailing information about specific flora and fauna to keep your eye out for. If you go on the weekend, there will be a staff naturalist on site that you can speak with and learn more about the property and wildlife in the area. The VIC trail system also connects with the road into Great Camp Santanoni, for the ambitious hikers who want to log some miles that day. This trail system ranges from a 1 to 2 in difficulty. While this hike does not boast some of the summit views that other area hikes might offer, it has multiple look-out points along the trail, and just after the summit, that more than make up for it. From parking lot to summit is just over one mile, and mostly meanders through the woods, with some very minimal scrambling towards the summit, but nothing a child couldn’t easily get over. 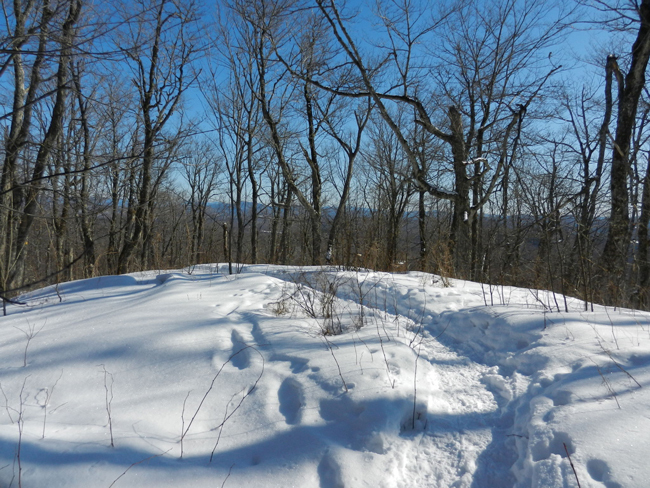 The summit is mostly wooded in, but the scenery from the two look out points below the summit, and the one after the summit offer stunning views of the surrounding area. This trail is fairly well trafficked, but shouldn’t be too busy most of the time, and is the perfect trail to bring your family pet along for the adventure. This trail is rated around a 2-3 in difficulty, and should be handled by just about anyone. Bang for your buck, Castle Rock provides some of the best views in the area without requiring a full day, or a particularly arduous hike. The 2.8 mile round trip is relatively easy, and offers an easier path to the summit called “The Loop Trail” which is very well marked at the trailhead. Added bonus to the hike are the “Talon” caves just before the summit. This hike is rated around a 2-3, depending on if you use the Loop Trail to summit. 1.6 miles from Route 30 on Endion Rd. Don’t be intimated by the mileage on this hike, the first 2/3 of the trail are easy to moderate without too great of an incline or decline, the last 1/3 becomes mostly moderate, with a small scramble just before the summit. The summit itself offers beautiful 180 degree views, or climb the fire tower to take in the full 360 degree view, just make sure to take your snowshoes off before ascending the stairs. Owl’s Head is a great trail to bring kids on their first “longer” hike due to the mellowness of most of the trail, and the payoff at the summit is more than worth the half day it might require. 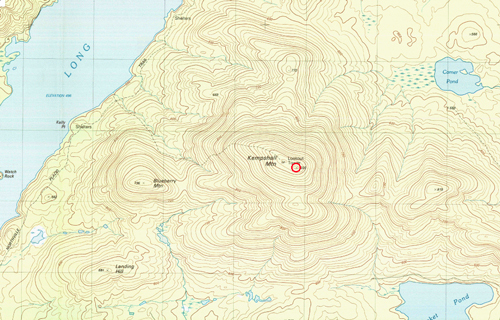 This hike is rated a 3-4, mostly due to the length, and the brief scramble just below the summit. Bring extra water (preferably in a container it can’t freeze in) because your hydration system drinking tube will freeze very quickly. 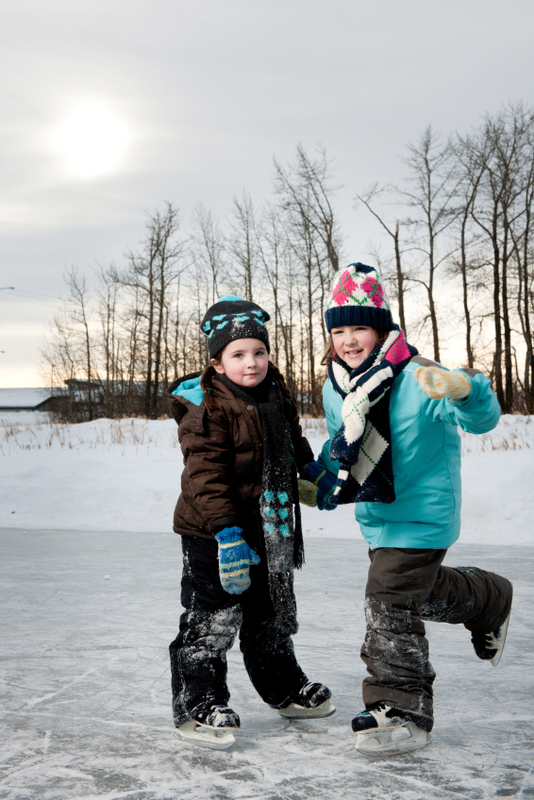 Pack multiple extra layers, including base layers, socks, hats, and at least one down jacket. Remember that the days are very short in the winter, so plan your start time accordingly, and always take a headlamp and extra batteries with you. Keeping your feet and hands warm and dry is of the utmost importance. Bring different options of gloves to make sure your hands stay toasty, but not too sweaty. If you are attempting a longer hike, pack some things that can warm someone up rapidly, such as hand warmers, down jackets and pants, and a thermos of hot liquid such as miso soup or chicken broth. The last thing to remember when jumping into winter hiking, do not pack what just what you think you will personally need, but pack what you think it will take to keep one of your hiking partners warm for 6-8 hours if they become incapacitated. Stay warm, stay safe, sign the registration box, don’t litter, and take lots of pictures. 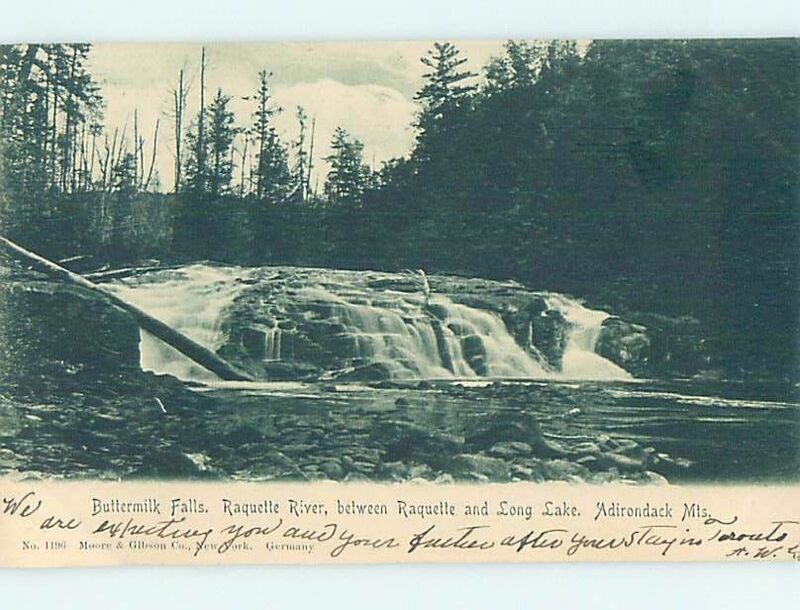 Buttermilk Falls – EASY – From town, travel south on NYS Route 30/28N towards Blue Mt. Lake for 2.9 miles, make a right at County Route 3/North Point Road/Buttermilk Falls Road. Drive 2.1 miles and parking area will be on the right. Winter Climbing: This trail is typically broken out by midday after a storm but can become quite slippery as you approach the summit. This is a great snowshoe, not recommended for skiing. 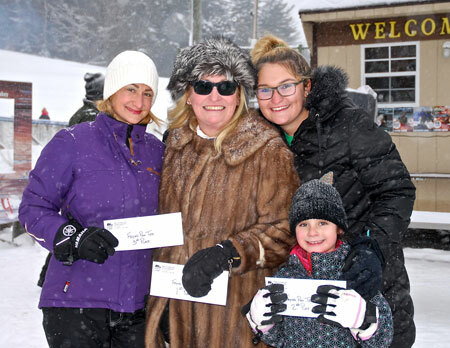 A buzz was in the air on Friday, February 22nd the night the Long Lake Hors D’Oeuvres Tour returned as a cornerstone event for the Town of Long Lake Tourisms Winter Wonderland Week. 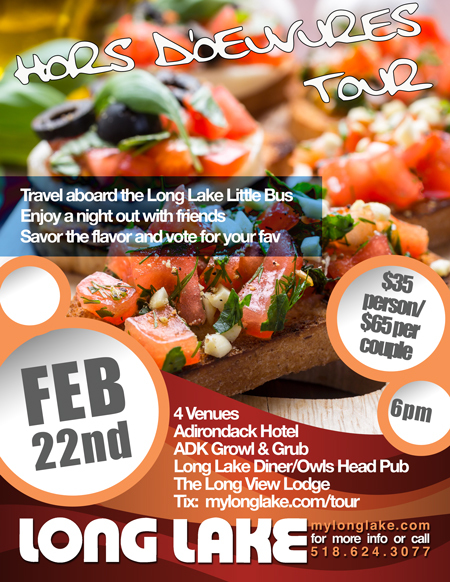 The tour was open to anyone and guests of the tour were invited to ride the Long Lake’s community “Little Bus” and visit the local restaurants to vote for their favorite appetizer. Guests hailed from Nashville, TN, Columbia County, NY, Plattsburgh, Tupper Lake, Long Lake and Albany and other locales. 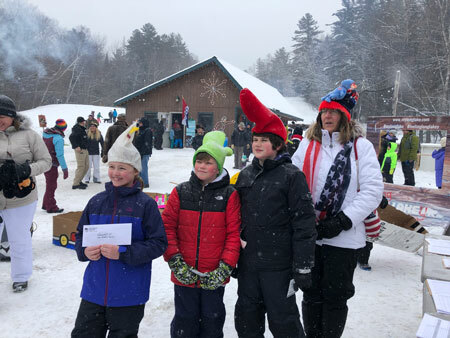 The participating restaurants were The Adirondack Growl and Grub, The Adirondack Hotel, Long Lake Diner/Owl’s Head Pub and the Long View Lodge. 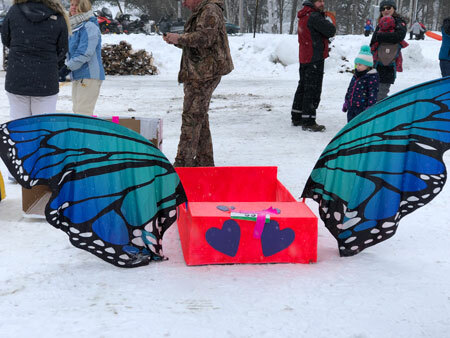 Due to an unexpected mechanical issue the Long Lake Little Bus was unavailable for the event, and Director of Long Lake Parks and Recreation, Alexandra Roalsvig, reached out to Robin DeLoria, Town Supervisor of Newcomb for an assist. 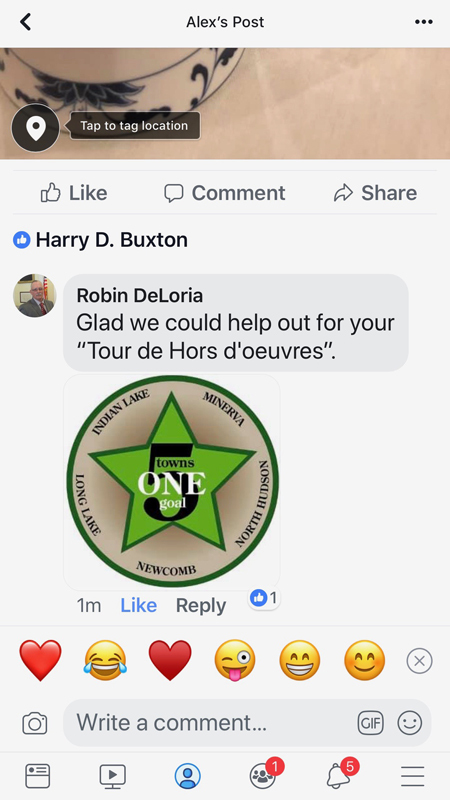 Supervisor DeLoria offered his ten-passenger bus to be used for the event citing he was happy to share services between the two upstate municipalities straddling Essex and Hamilton County. 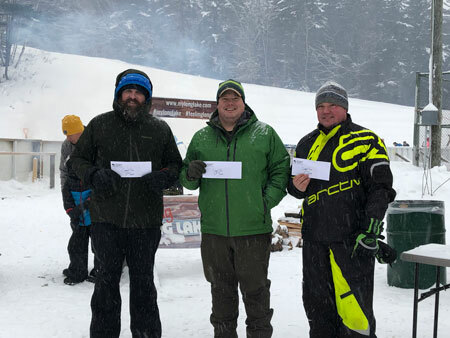 This is the second time Newcomb has helped the Long Lake Parks and Recreation this season, as Newcomb provided grooming for the Long Lake side of the C7B Snowmobile trail when one of Long Lake’s grooming machines was out of service for a week in January. 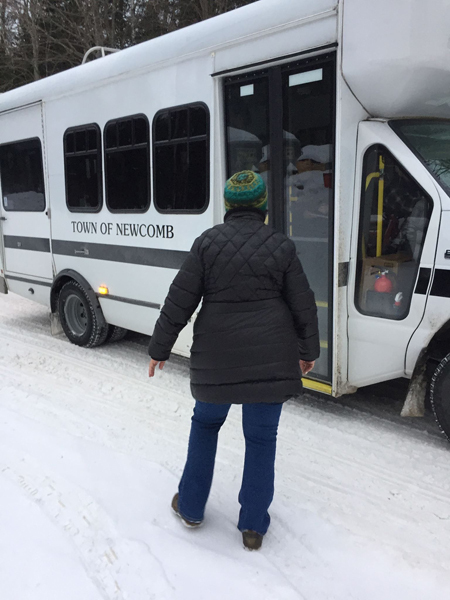 Guests got onboard the Newcomb Town Bus, a little smaller with 10 person capacity, so the schedule was re-worked to accomodate the unexpected transportation challenge. Special thanks to the Town of Newcomb and Town Supervisor Robin DeLoria for saving the day! 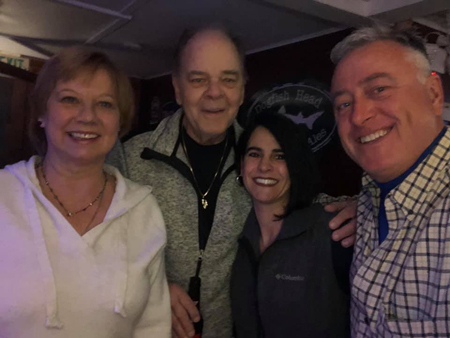 Sixty-four guests descended upon the venues one at a time, moving about the community to try three appetizers at each location. Guests had a voting card to review and select their favorite at each venue. The judging was to consider each individual appetizer with overall impression, presentation, uniqueness, combination of flavors, pleasing to the palate and originality. Food served by each establishment was varied and generous with portions. The Adirondack Growl and Grub served Capicola Cups with Cantaloupe, an Ugly Pretzel with Beer Cheese Dip and a French Onion and Roast Beef Crostini. The favorite at the Growl and Grub was the French Onion and Roast Beef Crostini. 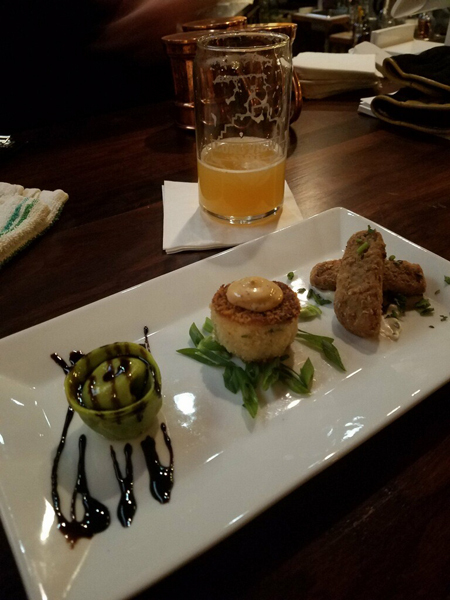 The Growl and Grub also offered a beer pairing to accompany the plates. 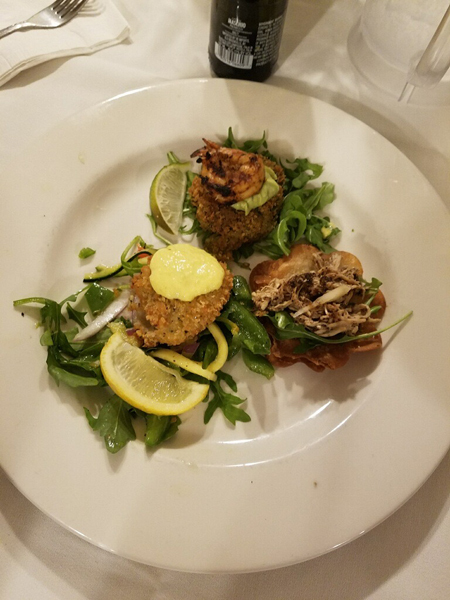 The Long View Lodge offered a plate with a Crab Cake with House Remoulade, a Portabello Mushroom Fry and House Made Tortellini with goat cheese and wild mushroom. The overall winner for the Long View Lodge was the House Made Tortellini with Goat Cheese and Wild Mushroom. The Adirondack Hotel served up a Jerked Chicken Tostado, Spicy Lime Grilled Shrimp with Cilantro and Basil Encrusted Rice, finished with Cream Avocado Sauce. Coming in with top honors at the Hotel was the Spicy Lime Grilled Shrimp. The Long Lake Diner/Owls Head Pub served an Alaskan Crab and Shrimp Egg Roll with Mornay Sauce, Honey and Soy Beef Kebob and coming in first was the Chickpea Taco with Pico de gallo and Guacamole. 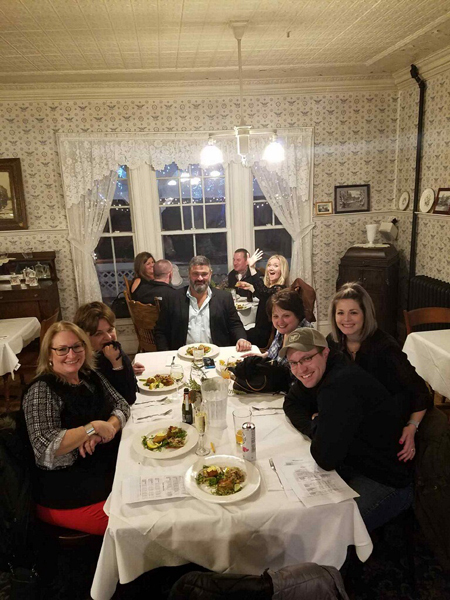 Guests were impressed with the portions and were definitely full by the end of the night and overall thrilled with the variety and quality of the food. Despite the initial over-crowding at the start of the event, guests also filled out comment cards to help the Parks and Recreation Department strategize on improvements with the goal of bringing the event back in 2020. 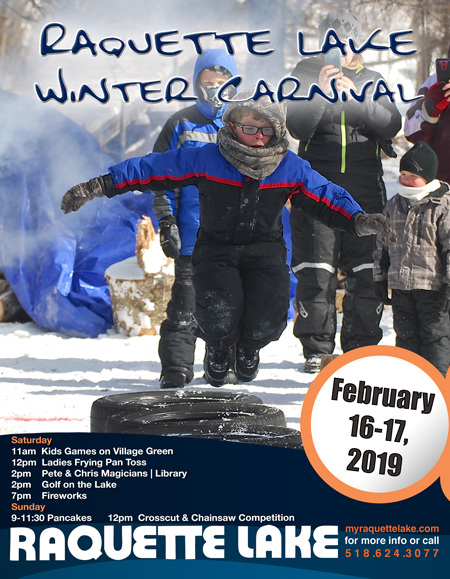 The Raquette Lake Winter Carnival will kick on Saturday, February 16th with youth activities start at 11am . Games will include a sack race, sledding, tire obstacle, balloon chase, and tug-of-war. At noon there will be a Ladies Frying Pan Toss with cash prizes of $75, $50, $25. 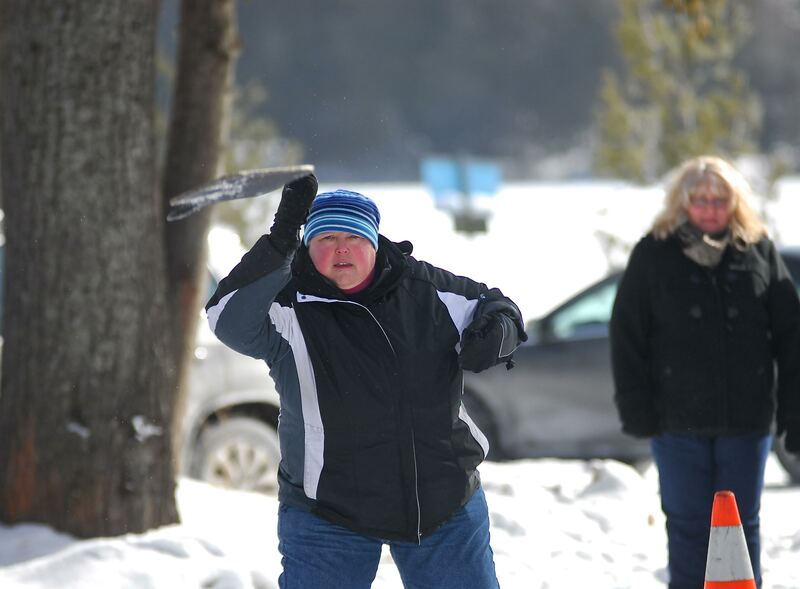 The Team Ice Golf Competition will be held throughout the day for teams with cash prizes of $75, $50, $25. At 2p.m. 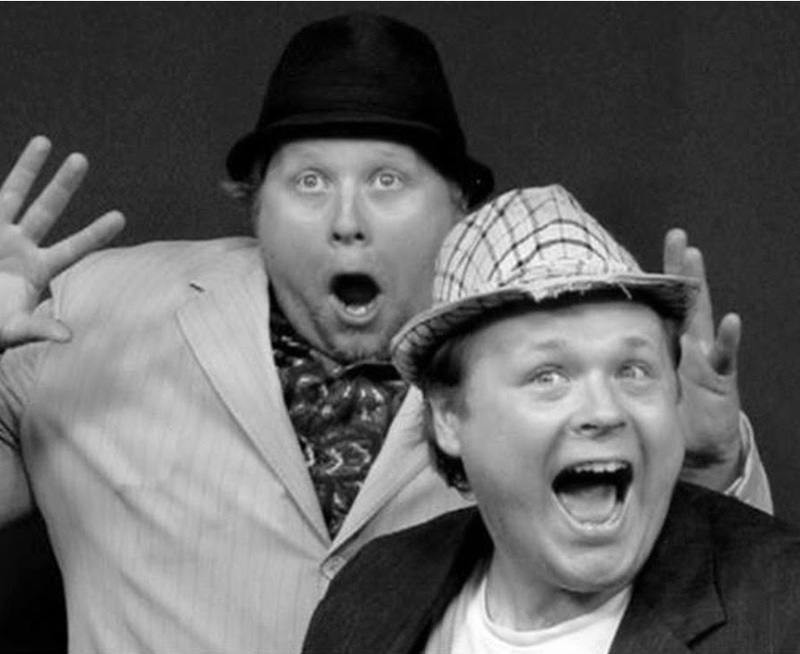 Magicians Chris and Pete of Chris and Pete Amusements will perform in the Raquette Lake Library. The show is free. Fireworks are slated for 7pm. Showcase will be weather dependent. 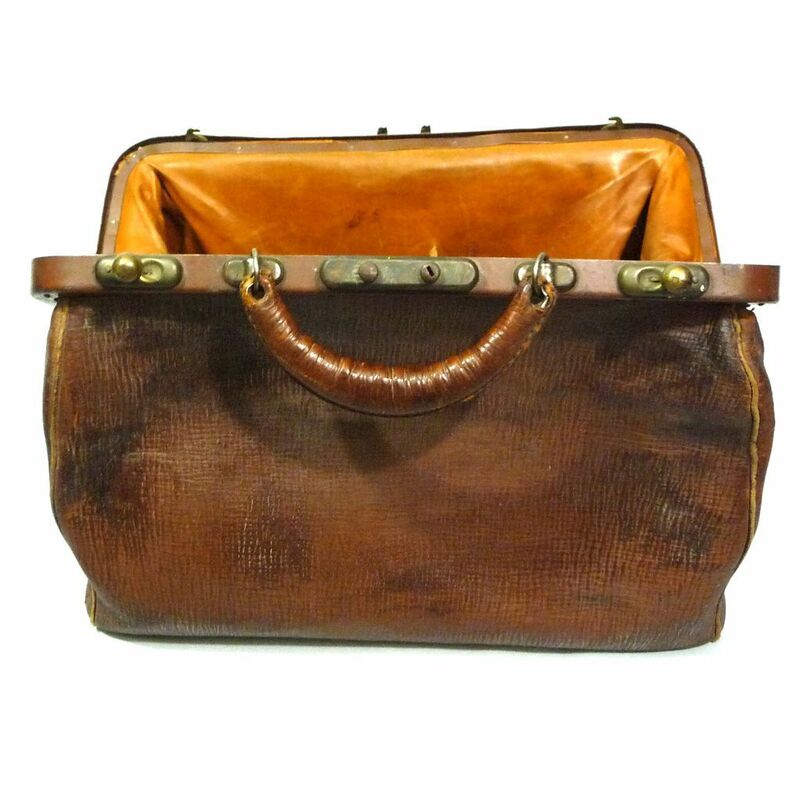 Check www.facebook.com/raquettelakefor schedule updates. On Sunday, February 17th, 9 a.m. to 11:30 a.m. the Raquette Lake Ladies Auxiliary sponsor a $10 all you can eat Pancake Breakfast at the Raquette Lake Fire Hall. 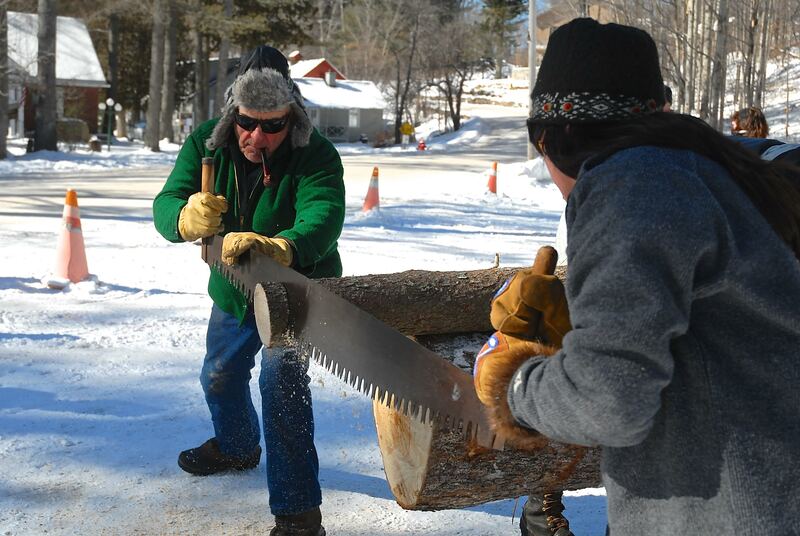 At Noon on Sunday the Cross-Cut / Chainsaw competition will be held on the Raquette Lake Village Green. 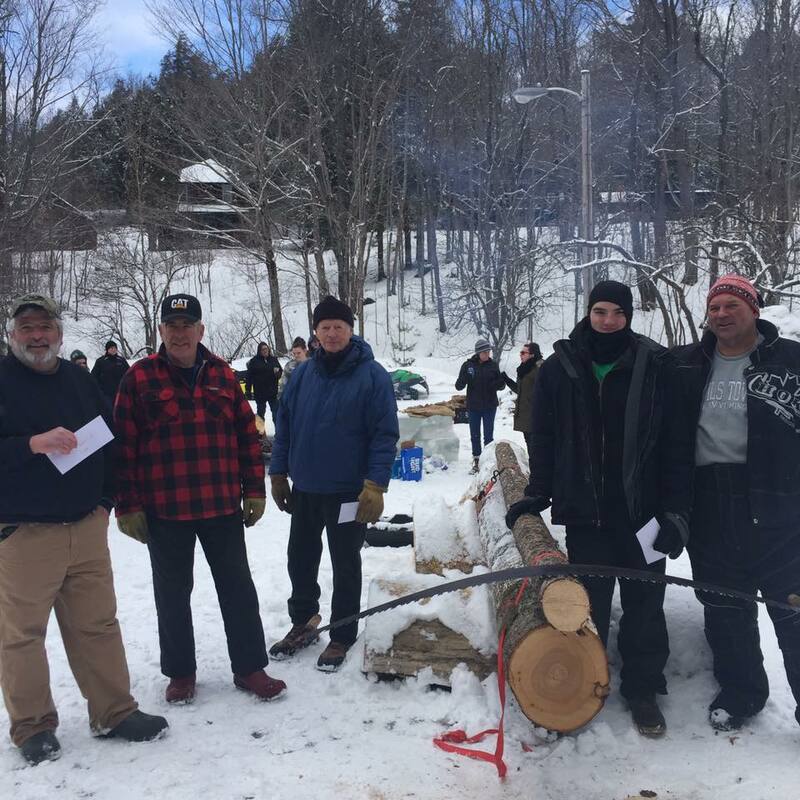 In 2019 the Chainsaw Competition will be sponsored by the Moonlighter’s Snowmobile Club. This long-standing tradition is a not to be missed event featuring timed men’s, women’s and mixed divisions. Competitors must bring their own chainsaw! Cookie donations are requested for Saturday, February 16th. Please drop off at the Raquette Lake Library. As in years past the Raquette Lake Library will be open for hot chocolate, cookies and warmth all day on Saturday. 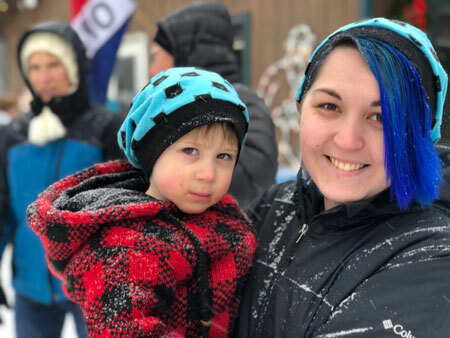 Raquette Lake Events Coordinator Kat Forsell will be coordinating the events of the weekend. Pete and Chris Magicians at 2pm on Saturday, February 16th at the Raquette Lake Library and it’s free! 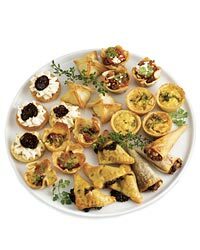 On Friday, February 22nd the Town of Long Lake Parks and Recreation Department and area restaurants open up the doors for the return of the Hors D’Oeuvres Tour from 6pm until 10pm. 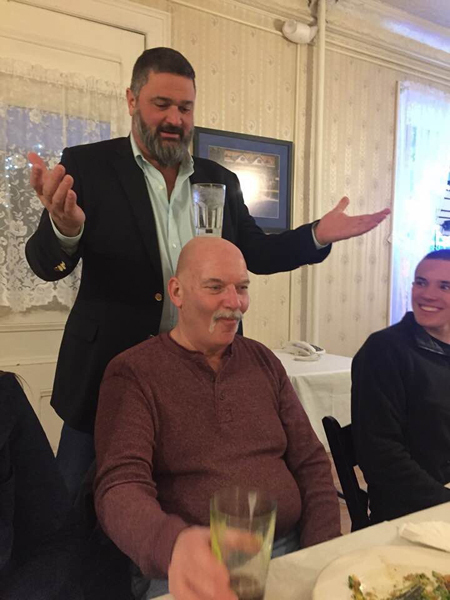 Venues for 2019 are The Adirondack Growl and Grub, Adirondack Hotel, Long Lake Diner & Owl’s Head Pub and the Long View Lodge. Tickets are $35 for individuals or a $65 for a couple. 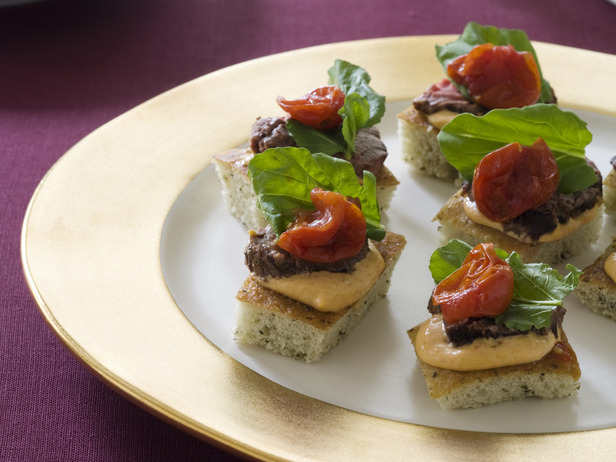 Guests will dine on three appetizers from each restaurant and vote for the best. The Long Lake Little Bus will provide free door to door transportation. Guests will be responsible for gratuities and drinks are sold separately. Purchase tickets on-line at www.mylonglake.com/tour. Guests traveling from out of town are welcome to participate in our Little Bus park and ride service from their lodging location or from the municipal lot located at 1167 Main Street in Long Lake, NY. The order of venue’s will be selected at random the day of the event. Guests use a voting card to review their items and assign a score. Each venue has a half hour to serve before the guests move on to the next location. Guests participating in the event travel as a group with event liaisons helping guide the guests on the tour. Every guest becomes the judge and vote on a points system considering presentation, quality, taste, texture and originality. Comments are encouraged. 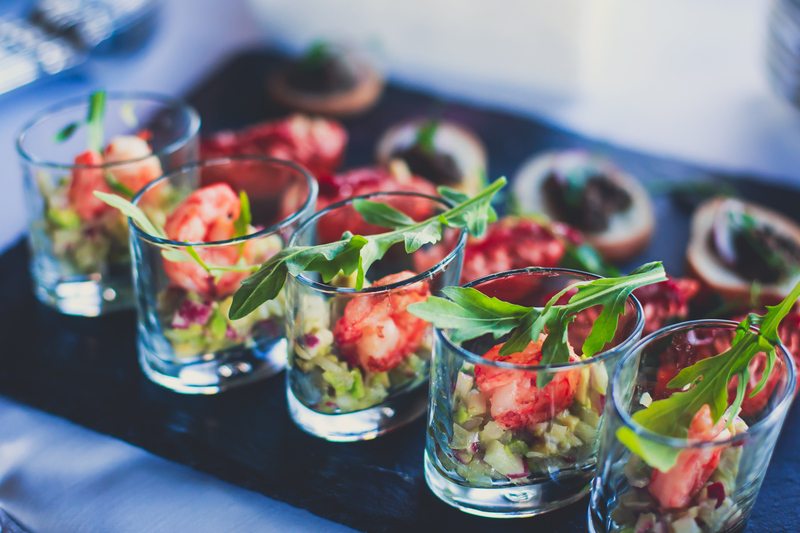 Each restaurant will be awarded their best appetizer and reviews at the end of the tour which may be used to help design their upcoming menus or their social media channels. 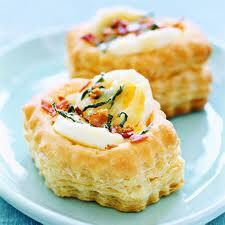 Each participating restaurant will be recognized for the best hors d’oeuvres served at their individual establishment. All the restaurants are open for regular dining service in addition to the Hors D’Oeuvres Tour. 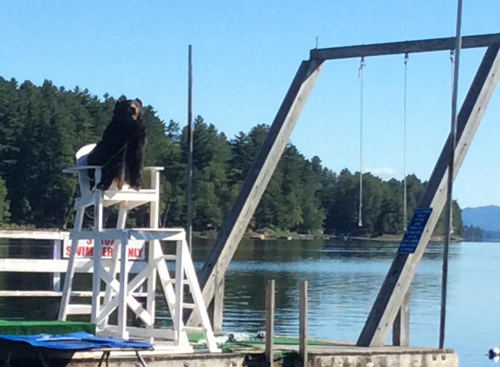 Participating establishments include, The Adirondack Hotel, The Adirondack Growl and Grub, the Long Lake Diner/Owls Head Pub and the Long View Lodge. For more information on the event or lodging or please call 518-624-3077. Guests must register in advance. Long Lake and Raquette Lake residents, considering the winter storm forecast for this weekend, I want to share some information with you. Yesterday our neighboring supervisors and I met with representatives from NYSEG to continue discussions regarding the power outages (more on that at a later date). At that meeting they assured us that they have crews on standby this weekend to respond as quickly as possible to any power outages. Today Chip Farr and I participated in a conference call with NY state officials from various agencies to discuss preparations for this weekend. Forecasts, for what they are worth, are predicting several inches to two feet of snow starting Saturday night into Sunday followed by a wintery mix of sleet and rain and possible high winds. Temperatures are expected to drop, and we could experience flash freezing. 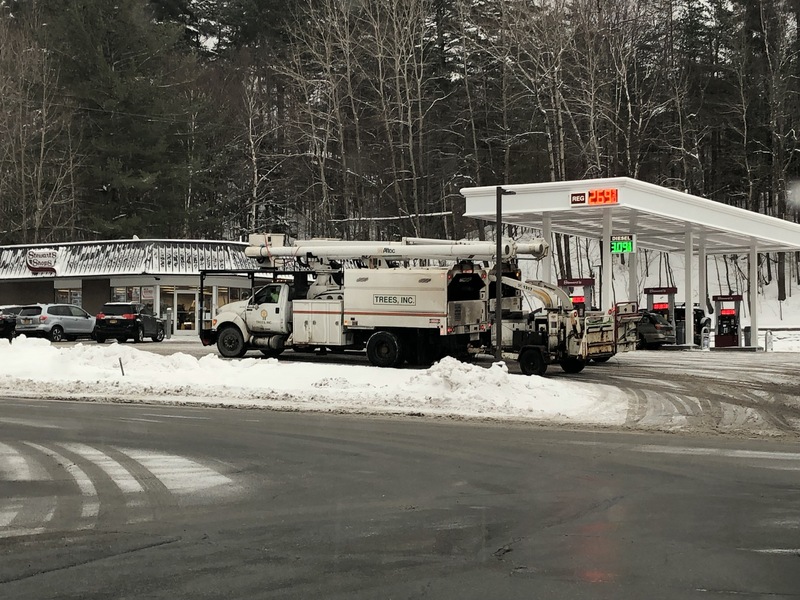 Our local road crews will be working to keep our roads clear and safe as they always do, and throughout this storm Chip and I will be in touch with NYSEG, state and county officials, as necessary. Given these conditions, we could experience power outages. Should that happen and they are extensive, we will open the Town Hall in Long Lake and the school in Raquette Lake for people to go and stay warm. If you need a ride, call my home phone 518-624-3894 or my cell 518-514-1147 and we’ll make arrangements for transportation. The important thing is that everyone stays safe. 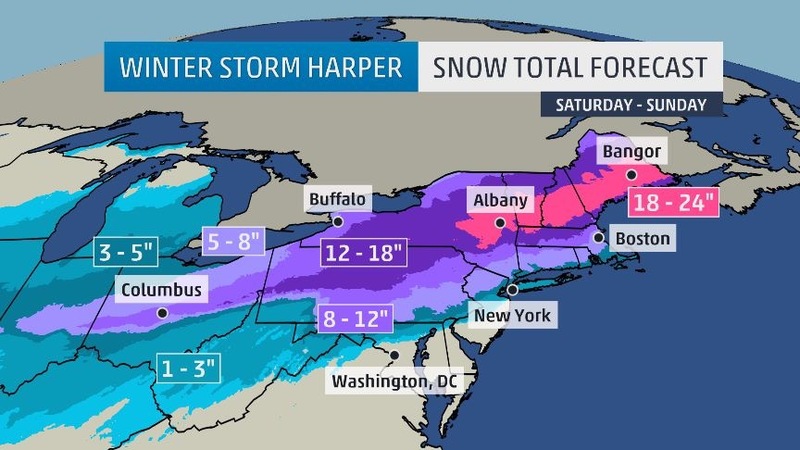 Don’t travel unless absolutely necessary, check on your neighbors and call if you need help. Finally, please share this with your friends and family that might not see it on social media. 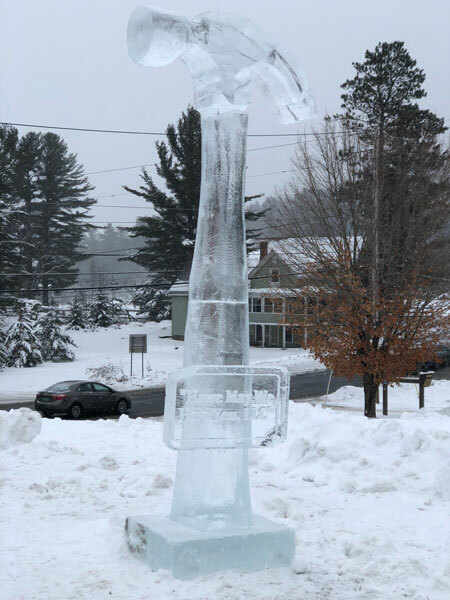 Long Lake will be hosting Winter Carnival on Saturday, January 19th at Mt. Sabattis starting at Noon. This event will go on as scheduled.